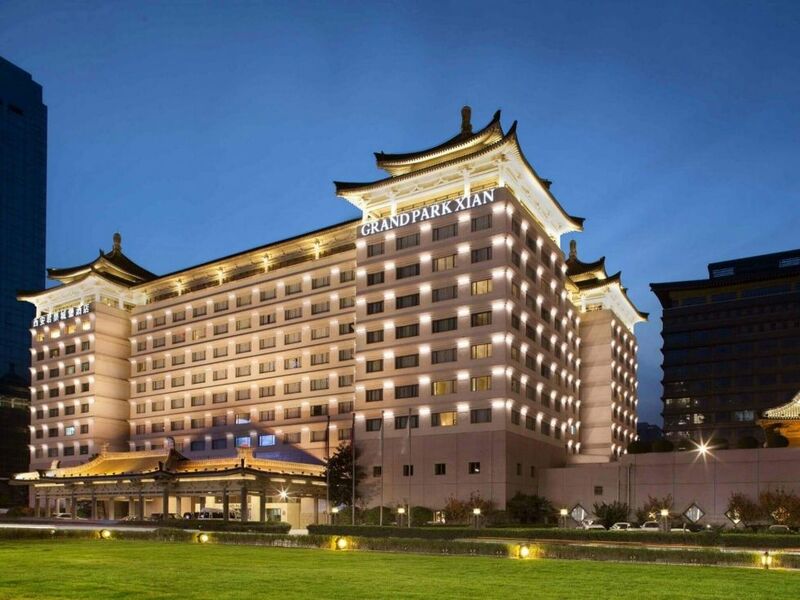 Located at the South-western part of the South Gate Square, Grand Park Xian welcomes all guests to Xian, with its impressive façade of tiled roofs that symbolize the splendour of an ancient palace. It is an iconic landmark in the ancient city of Xian and its barbican structures at the South Gate. The trendy Veranda Café provides exquisite à la carte selections and a buffet of Asian and international delicacies, all carefully prepared with quality ingredients. This delightful and peaceful atrium café with skylight serves breakfast, lunch and dinner. Decorated with rich Chinese flavors, Park Palace is Cantonese restaurant in Xian that creates authentic Cantonese dishes with selected ingredients. Book in advance and enjoy your meal in privacy. Dine in partitioned rooms with your business associates or friends and family. Complete your dining experience with internationally renounced fine wines, specially selected to complement the Chinese cuisine. Located at the centre of the atrium lobby, the Lobby Lounge is where you can enjoy refined snacks and connect while connecting into Wi-Fi anytime during the day. It is a great choice for business discussions, leisure conversations and social gatherings. Relax and enjoy the wide selection of fine tea after a day of sightseeing and watch the world and the people go by. Book early and enjoy our special online rates with Xian hotel promotion. Save Up to 10% off our Best Flexible Rate on 30 days advanced bookings – EXCLUSIVE TO THIS SITE Up to 8% off our Best Flexible Rate on 14 days advanced bookings Up to 5% off our Best Flexible Rate on 7 days advanced bookings Book your stay directly with us and be rewarded with 7 exclusive benefits. We have made business travel easy with the essentials that you need. Book a minimum of 3 nights and enjoy*: 10% off Best Flexible Rates Choice of buffet breakfast or gourmet breakfast takeaway Complimentary Wi-Fi Complimentary laundry (up to 2 pieces per room per night) Book your stay directly with us and be rewarded with 7 exclusive benefits. With modern interior design and stunning view of the City Wall and the South Gate, the Grand Park Xian sets the new standard in luxury accommodation in Xian. Each of the 298 rooms are equipped with comprehensive facilities and designed with the perfect layout to cater to business and leisure travellers. For the busy business guests, the Crystal Club offers exclusive privileges including late check-out, complimentary Wi-Fi access and personalized concierge. Our bespoke and efficient services will help to facilitate the busy schedules of business travellers. Stay in our Superior Rooms, Deluxe Rooms, Crystal Club Deluxe Rooms, Superior Suites, Deluxe Suites or the Presidential Suite and enjoy a lavish, elegant and relaxing experience with refined services. These magical spots in the Maldives will take your breath away.